I’ve been a huge Elder Scrolls fan ever since I first played TESIII: Morrowind in the early 2000s on an original Xbox. These are games I spend ludicrous amounts of time playing, usually getting so sidetracked in the world that it takes me years to get around to completing the main questline. I’ve even gone back and played the earlier titles on the PC and having moved to almost exclusively buying the series’ games on the PC and greatly appreciative of the modding community surrounding the game series. On the MMO side of things, I’ve been a MMORPG gamer even longer, starting with Ultima Online in the late 90s. I’ve tried out more games in this genre over the years than I could possibly bother to name. The biggest standouts being the aforementioned, Ultima Online, City of Heroes/Villains, Phantasy Star Online: Blue Burst, and Star Wars: The Old Republic. 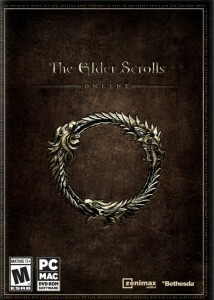 The question is, has Zenimax managed to blend the TES franchise with this genre to create a great game? Even a game worth playing? Probably the best thing ESO has going for it is its decidedly different combat system. Where as most MMOs on the market rely on action bars, cool down timers, and cast times, the bread and butter of ESO are standard attacks and blocking. No matter what weapon you choose, the bulk of your fighty time is meant to be spent using your no cost, no cooldown simple attack (shooting your bow, swinging your sword, or slinging your staff’s spell). In addition to this, everyone has the ability to block (default right mouse button) as well as use an interrupt while blocking at close range. Beyond that, weapons also have a strong/heavy attack, performed by holding down the main attack button, and a small action bar granting you five slots, as well as a sixth slot exclusively for “Ultimate Abilities”. Interestingly, the relatively open skill system and amount of points you will gain throughout the game will land you many more than 5 abilities. I know some people (notably a whiny old guild leader) absolutely hate it when a game gives them more abilities than they can cover their screen with, but I love the skill system in this game. Basically, the way it works is: the more you use the abilities within a specific skill/tree the higher your level/rank within that skill/tree becomes, unlocking more abilities within that skill/tree. In addition, using action abilities will level them up, allowing you to successfully morph an ability into a more powerful form. Character level and skill points are handled entirely separate. You gain experience for leveling your character as you normally do in RPGs– Killing monsters and completing quests. Skill points are granted upon character leveling as well as everytime you collect 3 Sky Shards (Special objects strewn about the world). This results in a very tactical approach of abilities as you will likely unlock more abilities than you can spend skill points on, and will have purchased many more abilities than you can fit on your small action bar. Many abilities take advantage of this tactical mindset by offering different uses of excelling in different situations. The focus of the game on giving players options does not end with skill point allocation. ESO has a robust crafting system more on par with sandbox style MMOs as opposed to theme park style. The available crafting skills in ESO consist of Blacksmithing (Heavy Armor and Metal Weapons), Woodworking (Bows, Staves, and Shields), Clothier (Light and Medium Armors), Provisioning (Food and Drink), Alchemy (Potions), and Enchanting (Glyphs). I chose to spend most of my time with the Blacksmithing skill, dabbling in Provisioning and being completely confused by Enchanting. The game’s equipment crafting skills have 3 important features that make them more open and robust than those found in other MMORPGs. The first is the flexibility you get out of materials. Instead of needing a different and sometimes complex set of materials for every item you craft, each tier of an item is based almost completely on a core ingredient. And within that tier, the items’ level is dependent on the amount of that core material used. For example, a level 4 Sword requires only a few Iron Ingots while a level 10 Sword requires more Iron Ingots. The equipment is then broken down into more familiar material tiers; you use the most basic level core material up into the teens, at which point you transition into a new material. Th other 2 important features of these types of crafting are research and improvement. In ESO, you start out with the unmodified recipes for your Race, and you do not get special recipes as drops. Instead, you have to research special traits using items you’ve found that already have them. This then enables an additional ingredient in the crafting of the researched item in order to craft items with that trait. Another way that the game allows you to improve your crafted items is through, well, improvement. Using one of these improvement ingredients along with the item you wish to improve will yield you a chance at refining that item into a better class of item (Blue, Green, Purple). Much like the core materials, using a larger stack of these improvement items will yield a higher chance of successful refinement. All this combined is much more useful than those of other MMORPGs. I almost always found myself using my own crafted weapons instead of world drops, where as in most other games only the top tier crafted items prove to be useful for anything other than grinding up the skill. Lastly, the Elder Scrolls Online takes an interesting approach in exploring the game world. The game does have a series of linear “theme park” quests that guide you to many of the cities and primary locations in the world. However, there are also quite a few off the beaten path locations that you will only discover by venturing away from the Primary Quest lines. In addition to the aforementioned Sky Shards, this includes World Bosses, Dungeons/Ruins, Mundus Stones, and other goodies such as Treasure Chests and Treasure Maps. Interestingly however, this open Exploration structure is both a boon and a hindrance. The downside to the games’ focus on Open Exploration is that it does not engage in or respond to any player agency. The greatest example of this is that I found myself numerous times having to go through a dungeon twice because I discovered the dungeon and completed its quest before gaining the related quest from an NPC. This is something that could’ve easily been handled by the game and is something handled by other entries in the Elder Scrolls’ franchise such as Skyrim. I bring up Skyrim because I am still occasionally playing that game and I know that in it there are often multiple ways to trigger a quest. One example in ESO is a quest where you had to venture into a dungeon and close a portal. There are two ways this could’ve easily been handled incase of a player discovering the dungeon before the quest. One would be allowing a second start point for the quest where, upon entering the final room with the portal in it, the player is given the quest to kill the main bad guy and close the portal. The second option would simply be setting it up so that once the player cleared and exited the dungeon, the dungeon’s instance would change so that after acquiring the quest and re-entering the dungeon, they would simply have to travel to the portal and close it. All the enemies already being dead. In terms of quests asking you to slay a specific NPC, this is even more easily handled, as it is in many games, by simply having the NPC to be killed drop an item on its corpse that can start the quest there. The NPCs and monsters in the world are also distractingly static. This is actually quite odd because its clear that a lot of time was put into the games’ fauna and scenery in order to make the world seem more alive. In fact, there is a far greater amount of Fauna/Animal Life than in past Elder Scrolls games. Barring, perhaps, the ludicrous wealth of Cliff Racers in Morrowind. Many of the simpler animals such as Squirrels and Birds move about in an oddly convincing manner while enemies such as Wolves and Bandits tend to occupy single predictable places. Even those NPCs that are “on patrol” follow an extremely rigid pattern. Another disappointment comes from the games’ class system. The classes prove to be an odd mix of being too rigid, not especially user friendly, and not at all fitting with TES lore. While I praise the games’ Open Skill System when it comes to the allocation of points in armor classes, weapon classes, racial skills, world skills, and guild-specific trees, the primary classes themselves are paradoxically limiting. It’s first of all, odd that in a game where you can use any weapon and armor combination, you still have to select a pre-defined class. Furthermore, the trees themselves feel over-focused (Dragonic Power for example) while most of the non-class trees are very unfocused. This creates a problem with the user friendliness of classes. As with some other recently released MMOs, Elder Scrolls Online seeks to break away from the typical “trinity” structure that has prevailed for years. However, the class skill trees are still very clearly focused on those trinity roles (Damage, Resistance, and Healing). This creates a disconnect where it is not always immediately apparent what roles a class is slated towards filling. For example, most games have their healer class as a “caster” which you would think means that the Sorcerer Class in ESO would have a tree based on healing. Instead, only the Templar class, which is typically associated with tanking (Resistance), possesses a meaningful Healing Skill Tree. The other two Templar trees (remember, tanking class) being Damage Focused trees. On a final note about classes, they exhibit an incredible disparity with existing Elder Scrolls lore. Indeed, aside from the handful of spells launched from the games’ staff weapons, all of ESO’s magical abilities reside within class skills. And equally as strange, your class skills exclusively use your Mana Pool. Even skills revolving around weapons and movement. This means that TES’ 5 (As of Skyrim) Schools of Magic have been broken up and in large are not present in the game. Restoration and Destruction can be found pre-loaded on Staves as well as on trees for the Templar and Sorcerer, respectively. Conjuration, from what I’ve played, could only be found in one of the Sorcerer’s Skill Trees. Illusion, likewise, was only barely present in a couple of the Nightblade Class’ Skills. Alteration is almost completely absent from the game, though, I think one of its spells, at least, is found in the Mage’s Guild Skill Tree. For the most part, this means that instead of the mainstay of magic spells that have been present in past Elder Scrolls games, we have entirely new and different spells. Such as “Fiery Grip” which launches a Scorpion-esque spiked chain at your foe to pull them towards you, and “Teleport Strike” which teleports you next to your opponent and attacks them for those moments where you really want to be Marvel’s Nightcrawler. These spells seem transparently geared towards a “World of Warcraft” type environment instead of that of the Elder Scrolls. Mechanically, this game takes a lot of good steps. The more action oriented combat and what openly selectable skills you can have are great strides in moving the MMORPG genre away from staples its been stuck with for years. There really is a lot of good in this game. Aside from the nightmare that was Enchanting, I genuinely enjoyed the crafting system. And as an Elder Scrolls fan, I loved the ability to explore as yet unseen regions. But the biggest problem I’ve had with ESO is a seemingly small issue. The game lacks the “heart and soul” that can make even a mediocre game enjoyable. It lacks the deep, interesting stories that can be found in Star Wars: The Old Republic, the true freedom found in sandbox MMOs such as Ultima Online, and the compelling characters found in City of Heroes. Despite all the work on mechanics and merging the World of Tamriel with the common staples of MMOs, ESO is filled with a land and characters that for the most part feel laboring-ly bland and mundane. 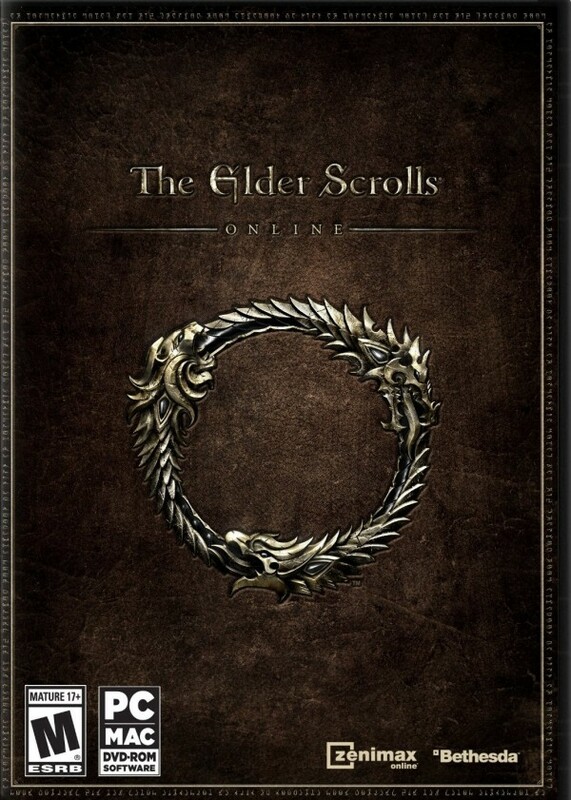 If you’re a big fan of the series, you may want to check out this game just to immerse yourself once more in the world of the Elder Scrolls, but for my money, I think I’ll go back to playing Skyrim.